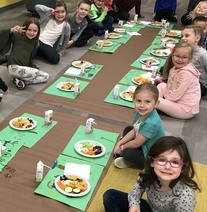 Brookview kindergarten students participated in a friendship feast. They celebrated their friendships with one another and tried lots of healthy fruits and veggies! This is the second year Brookview students have held the special feast prior to Thanksgiving break, and staff hope it will become a long-standing tradition. 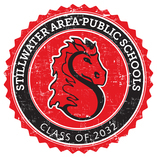 The school board will hold a work session from 1-4 p.m. on Wednesday, Nov. 28 at Central Services in Stillwater to continue discussions regarding budget adjustments for the coming year. Board members are reviewing a list of potential areas to consider for reductions as it looks to address a $2.5 million general fund budget deficit. Now enrolling for the Class of 2032! Incoming kindergarteners are getting a special delivery from Stillwater Area Public Schools! Our Class of 2032 enrollment packet is hitting mailboxes. It has information about our upcoming Kindergarten Orientation along with enrollment forms that are due January 15. More info is on our website. Join us for a meeting on Dec. 5 or Dec. 6 to prepare for kindergarten next year. Parent educators will share important information to make sure your child is ready for the next step and answer any questions you may have. A panel of parents and teachers will also offer helpful tips about planning for a smooth transition to kindergarten. The school board will host a Legislative Gathering on Wednesday, Dec. 12 at 7:30 a.m. at Central Services, located at 1875 Greeley Street South in Stillwater. The purpose of the gathering is share the district’s legislative priorities and to dialogue with local legislators. Read notice.